Myxedema is a rare skin condition that has a low incidence across the world but can have fatal consequences if left untreated. Read and know what is Myxedema as well as all about its causes, symptoms, diagnosis and treatment. 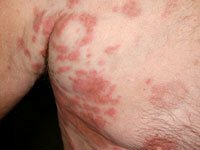 It is a rare, complicated skin disease that is characterized by inflammation and thickening of the skin. It is known by various other names like “Advanced hypothyroidism” and “Graves’ Dermopathy”. The condition is also often called “Hypothyroidism” although it usually occurs in the advanced stages of that disease. In British English, the condition is referred to as “Myxoedema”. The condition is more common in women than men. The condition usually arises due to Hypothyroidism, a glandular disease occurring due to an inadequate thyroid hormone production. However, it occurs more often in cases where treatment for hypothyroidism is ignored. The disease often arises when the thyroid levels are noticeable low for long durations. The disease is also found to be more common in people with underlying conditions like Hashimoto’s thyroiditis. Hashimoto’s thyroiditis is an autoimmune thyroid disorder that makes the immune system within the body view thyroid hormones as foreign particles and produces an abnormal reaction in response. Myxedema may also occur after a person has undergone Thyroidectomy, an operative procedure involving ablation (surgical removal) of the thyroid gland. In the United States, Hashimoto’s thyroiditis is the most frequent cause of this disease. If physicians suspect hypothyroidism as the underlying cause, patients may need to undergo simple blood tests. Doctors may also conduct a Chest X-Ray, which can clearly display enlargement of heart or pleural effusions. An Abdominal Ultrasound examination may be carried out to detect Ascites. MRI scans may also be used to check for an enlargement of the pituitary gland. A pituitary gland enlargement may occur due to Hyperplasia. If Hyperplasia is present, the gland tries to secrete more TSH to compensate for low thyroid hormone secretion by the thyroid glands. Changes in levels of Creatinine kinase, Hematocrit, Glucose and Prolactin are also measured. The disease should also be differentiated from renal failure, Liver failure, Nephrotic syndrome and Congestive failure which may be similar to it in superficial appearance. In older individuals, the symptoms of this condition should not be confused with syndromes like Alzheimer’s disease. The disease is frequently addressed by curing Hypothyroidism, which is its underlying cause and leads to the coarseness and thickening of the skin. The most common treatment involves substituting the reduced thyroid hormones with medications. When administered in appropriate doses, drugs may help stop the progression of the condition altogether. Topical corticosteroids – These may be used to reduce the inflammation occurring due to the thickening of skin caused by the disorder. Compression stockings – These are also useful in decreasing the swelling arising due to this condition. Thyroid replacement hormones – Thyroid hormone supplementation can effectively decrease inflammation and other symptoms arising from Myxedema and underlying hypothyroidism. However, its use depends on the underlying cause of the disorder. However, care should be taken to avoid excessive thyroid hormone replacement as it may cause hyperthyroidism symptoms like sweating, cardiac palpitations and rapid weight loss. Although thyroid hormone supplementation is considered, thyroid replacement medications are not generally considered for treatment as patients need to use them for the rest of their life. In cases where patients suffer from autoimmune disorders like Hashimoto’s Thyroiditis, blood monitoring may be needed more or less constantly to ensure that thyroid hormone levels remain within normal ranges. Levothyroxine (T4) replacement – The medication (Levotabs, Levoxyl, Synthroid) is prescribed at a low dose. The dosage is increased until the level of hormones become stable and stay within the normal range. The dosage of Levothyroxine is based on TSH levels. It may be increased in pregnant women or patients taking bile acid binding resins or Phenobarbital. In older patients, the starting dose should at first be low. It should then be increased at a gradual pace, so as not to precipitate any inherent heart disorder. Cytomel – It is a thyroid hormone that works by replacing the thyroid hormones that are naturally present in the body. Triostat – It is useful in elevating thyroid levels and addressing the life-threatening symptoms arising from low thyroid levels. If left untreated, the condition can give rise to acute symptoms. In extreme cases, it can give rise to life-threatening consequences. Mortality for this disease is 20% and is mainly attributed to precipitating and underlying disorders. It is a rare complication arising due to acute underlying Hypothyroidism and also associated to Hypoxia (low oxygen), Hypoventilation (insufficient breathing), Low Blood Pressure, Hypercapnia, low sodium and low core body temperature. It is typically treated as a life-threatening emergency. Thyroid hormone replacement may precipitate underlying heart disease (i.e., it uncovers heart disease). Therefore, elderly patients are begun at low doses of replacement hormones, and the dose is increased slowly. Also known as “Myxedema madness”, it is an acute mental disease in which patients suffer from a highly distorted or false sense of reality. In case of extreme complications, males fail to impregnate and women become incapable of producing offspring. Underlying Hypothyroidism in pregnant women may result in the birth of a stillborn baby. Seeking early medical attention can help health care professionals devise a treatment plan that specifically fits the patient and minimizes the risk of acute complications. The best way to manage this disorder is to prevent its occurrence in the first place. Even though there is no specific way to prevent the condition, screening newborns can be effective in diagnosing its early development. Patients with Hypothyroidism should regularly visit their doctor to undergo blood testing and follow-ups to make sure that the replacement dose is suitable. 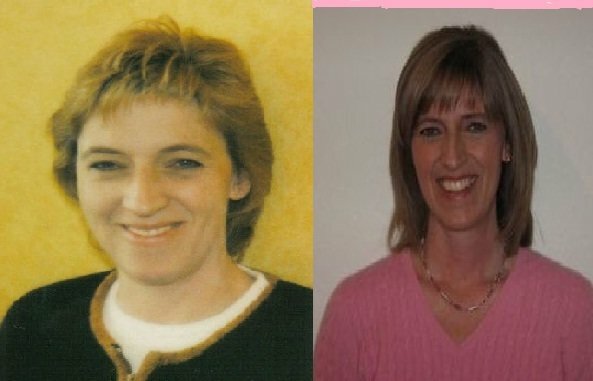 Females, individuals over 50 years of age, new or old patients of hypothyroidism and individuals suffering from autoimmune disorders are also found to be at risk from this disease. Due to similarity of their symptoms, Myxedema is often compared to Lymphedema. However, there are various differences between the two conditions. Although both conditions cause inflammation, swelling is usually asymmetrical in case of Lymphedema. Treatment can check but not cure the condition. However, if thyroid hormone levels are properly regulated, all signs of myxedema can be reduced in intensity and even cured. It is a form of Myxedema that arises after birth and is exhibited by several features that include slow development and growth. It usually shows up during infancy and is characterized by a type of dry, waxy skin inflammation. The lips and nose often get swollen due to this disorder. 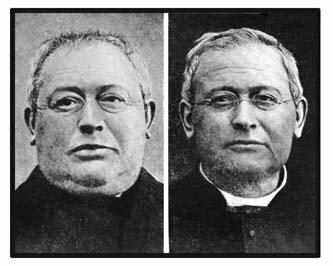 The condition is also referred to as “Brissaud’s infantilism”, which is derived from the name of Edouard Brissaud, a noted French physician. The disorder occurs infrequently, as a manifestation of Grave’s Disease. It occurs in maximum 5% of patients with Graves’ disease. Many of these are older in age. Here are some carefully selected Myxedema images that will provide you with an idea of the physical appearance of its patients. Check these Myxedema photos to know how people with this disorder look like. If you suspect any of your family members to be suffering from acute symptoms of Myxedema, call 911 or seek immediate medical attention. In case of severe symptoms like breathing difficulties, low body temperature or very low blood sugar, patients should be immediately treated by medical professionals or hospitalized. As aforesaid, this is a potentially fatal condition that often requires prompt medical care. Timely treatment can go a long way to ensure health of patients and prevent life-threatening complications.